How I spent 4 years to get a working Video Surveillance System! This is a story that has taken 4 years to write. It started with a 2008 Popular Mechanics story on a cleverly designed system that used tiny battery operated cameras that communicated wirelessly with a hub unit connected to my Internet router. 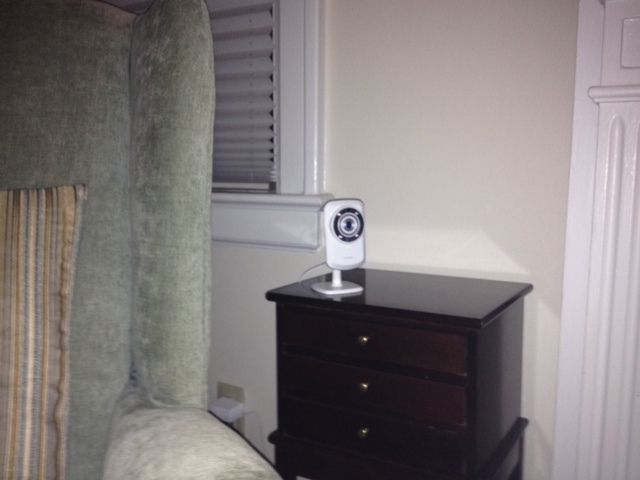 I thought this would be nice to have so when we are away I could use my iPod Touch to see what was going on in the house. System #1: I waited a year until the Vue system became available and paid $300. I hooked it all up and had it working. On the first trip away it quit after a day or so because the Internet went down and the Vue could not recover without manual intervention. Vue fixed that bug in the software and I tried it again on the next trip. It quit again because the battery in the camera went dead. It was supposed to last a year but couldn't even last a month. Replacement batteries were $20 each. That was the end of the Vue system for me. I sold it on ebay with $120 worth of batteries (given to me by Vue) for $150. System #2: Next I went to Costco and bought the $200 Q-See system with a digital video recorder, 2 real cameras, 2 fake cameras, and a big ball of wire. To use it remotely it required a router. I got it all working with much time on the phone. Next trip it quit after a day because the recorder filled up the hard disk and there was no way I could find to delete it or have it overlap. Then I replaced my DSL line with Verizon 4G Mifi. Oh-oh, no router. System #3: Again back to CostCo and I tried a single $150 Lorex camera that provided remote operation. The box never said you had to have a router. It went back for refund. System #2 (again): In early 2012 Verizon offered HomeFusion, a 4G Internet service that provides a router. So now I could hook up System #2 once again. After many hours trying to understand the manuals and get it to work properly, I gave up and offered it to Andrew, minus the fake cameras. System #5: I discovered that D-Link had the 932L video camera for $100 each that is wireless and uses an account at the MyDLink.com website to connect the camera to the computer, iPhone or iPad. I bought it at Office Depot. It works every time so I bought a second camera as well. The only time I had to use the router was to setup the camera but the software makes that pretty easy. Now is the best feature ever. You can set up the camera, create a small window in the picture, and if anything moves in that window MyDLink captures 6 frames 1 second apart and emails the photos to me. So even if an intruder destroys or steals the camera we have his/her photo. The quality of the photos is much better than any of the other systems and the cameras have infrared lights for night vision. The only wire is to plug the camera into the wall. I did have some problem getting the motion detection to work but after escalating the trouble to Level 2 the technician found I was trying to set motion detection through MyDLink rather than direct to the camera using its IP address. 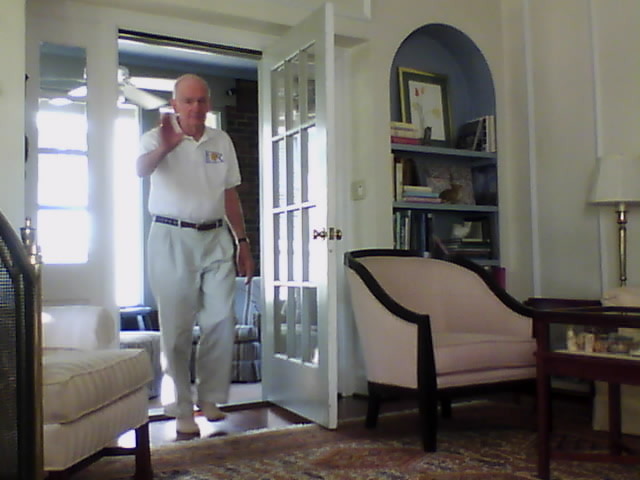 Conclusion: the D-Link 932L is the best system for home survelance, is low in cost, and the easiest to install The new problem now is the flood of emails due to lighting changes and Mavis walking in and out of the living room. That's a problem I can live with.